Like I said, this is a chocolate pudding pie, for the most part. I don’t follow the instructions on the pudding boxes for making pie. I use slightly less milk when mixing up the puddings called for in this chocolate pie recipe to ensure that the filling is firm. Both of the chocolate pie recipes included in this article are set and ready to eat about an hour after being refrigerated, but I think they’re better if they spend the night in the fridge. 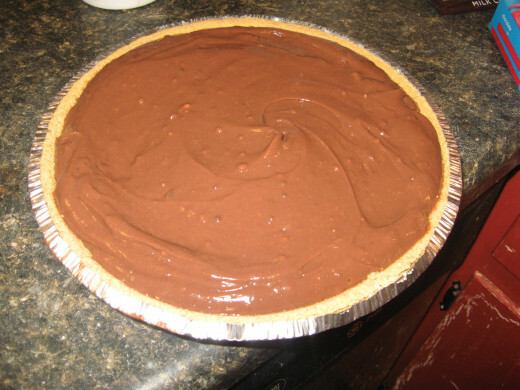 I usually have the ingredients for easy chocolate pie on hand at all times, in the fridge, freezer, and pantry. 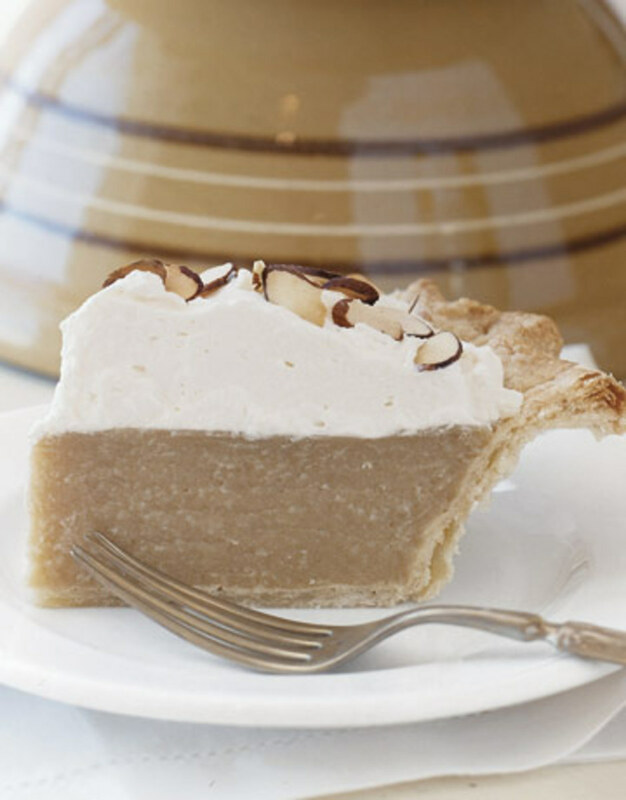 The pies are quick and easy to throw together, so you can tasty no bake desserts in a snap. It’s easy to add your own changes to the recipes, too. You can add all sorts of goodies to the filling, like chocolate chips, toffee bits, chopped peanut butter cups, or chopped Snickers bars. For a rocky road pie, add broken pecans and miniature marshmallows. 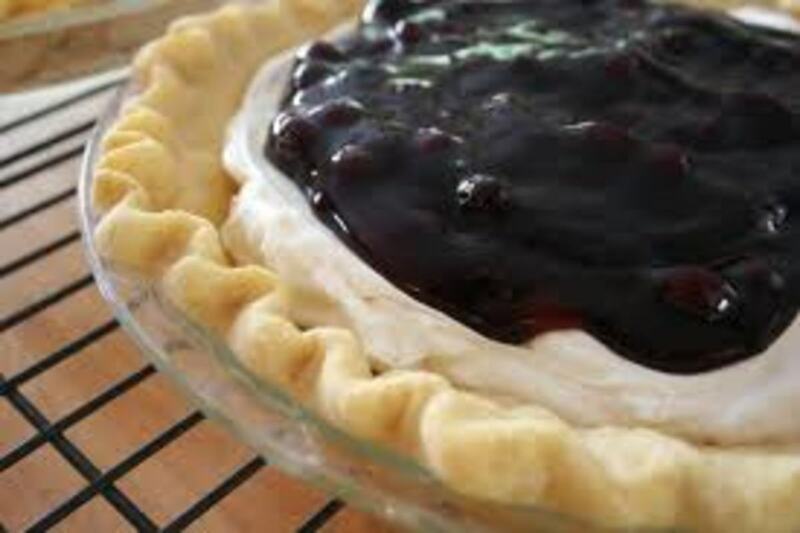 There are also lots of ways to “dress up” the pie by adding ingredients over the top. Try raspberries, strawberries, cherries, or chopped nuts, for example. You might also want to use a different crust. If you use a traditional pastry crust, you’ll need to blind bake it first. Chocolate lovers might prefer a chocolate cookie crust. If you find an easier recipe for chocolate pie that’s as tasty as this one, please share it with me! 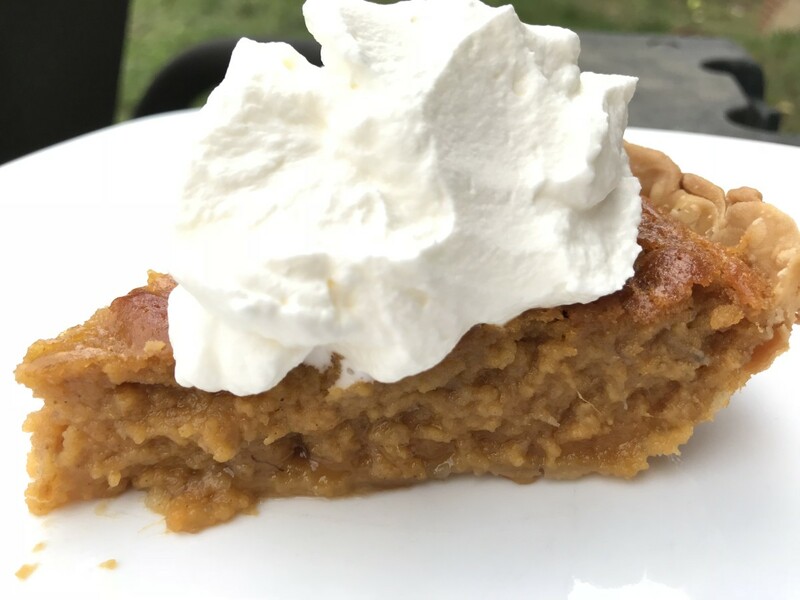 The flavors are wonderful together, so I try to make sure every bite I get includes all the different layers – the cracker crust, the rich cheesecake, the creamy pudding, and the fluffy whipped topping. 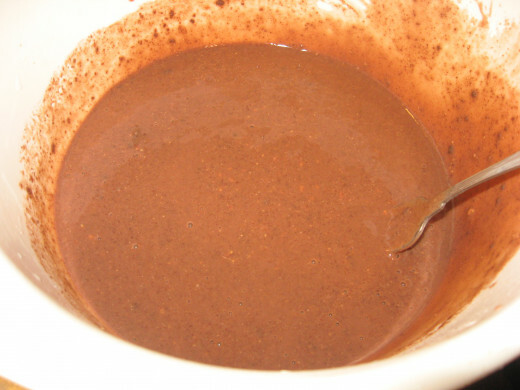 If you prefer a more “chocolaty” filling, use two boxes of chocolate pudding mix instead of one chocolate and one vanilla. I soften my cream cheese in the microwave, by the way, which makes it very easy to blend with the whipped topping and sugar. Rate my chocolate pie recipe. Thanks! 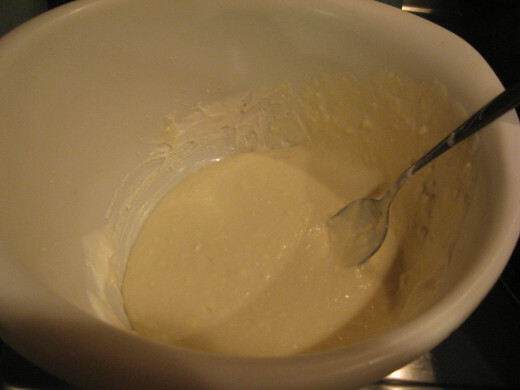 Cream together cream cheese, ½ Cool Whip, sugar, and vanilla until smooth. Spread into pie crust. Refrigerate until firm. 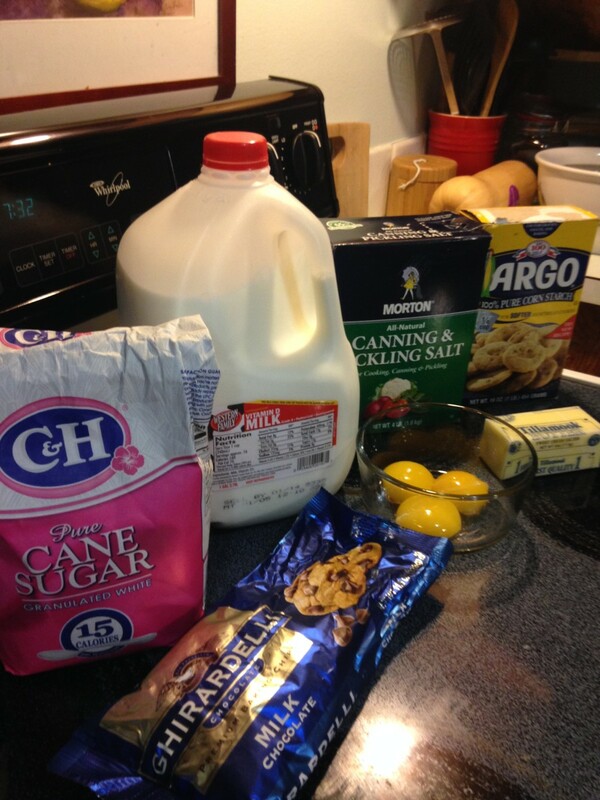 Pour milk in a large mixing bowl and add both boxes of pudding mix. Stir until pudding begins to thicken. Pour over cream cheese filling. Refrigerate until firm. 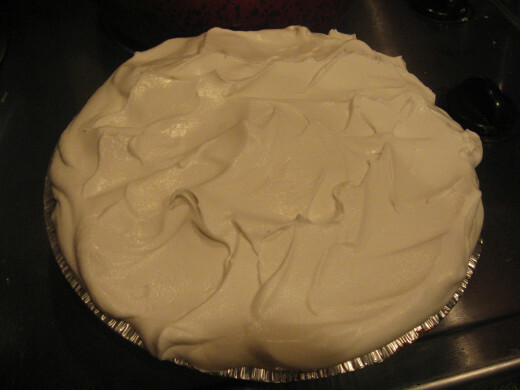 Spread remaining Cool Whip over top of pie. 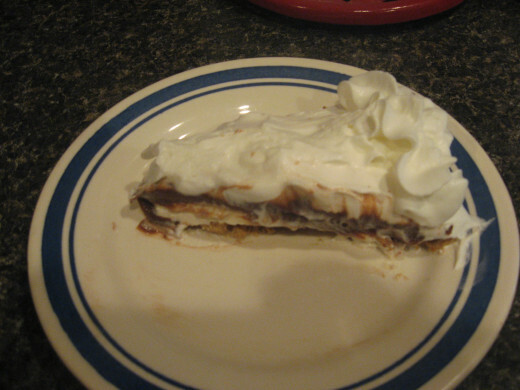 Shave chocolate bar over pie. This low carb chocolate pie doesn’t taste sugar free. Really, it tastes just like regular chocolate pudding pie, with a crunchy, nutty crust. You can use regular, low fat, or skim milk in the recipe, but you’ll avoid a lot of carbs if you use the Hood low carb milk product. I find it, along with delicious Hood low carb chocolate milk, in the dairy case at my local Walmart. 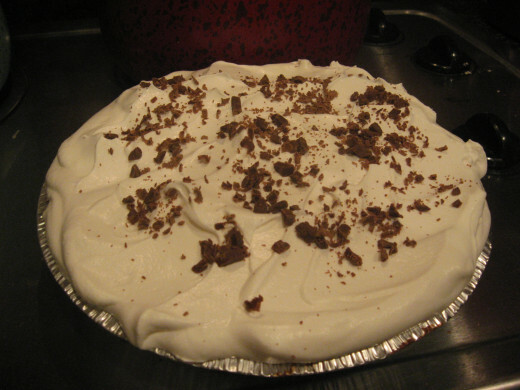 Of course, you’ll need to omit the chocolate shavings I use in my easy chocolate pie recipe, above. You can leave the top layer “naked,” or you can add nuts or berries for some extra flavor. Spray a nine-inch pie plate with cooking spray. Grind pecans in food processor and combine with melted butter and 2 tablespoons Splenda. Press into pie plate and bake for 8-10 minutes. Cool crust in refrigerator. Blend together cream cheese, remaining Splenda, 8 ounces Cool Whip, and vanilla. When mixture is smooth, spread into cooled crust. Refrigerate until firm. Whisk together low carb milk and both pudding mixes. Pour over cream cheese layer and refrigerate until firm. Spread remaining sugar-free topping over top of pie. Sprinkle chocolate pie with chopped nuts, if desired. Which is your favorite of these pies? Yum! This pie looks amazing! What a great recipe. Thank you for the pictures! Sounds delicious! Pinned and posted to FB! David S, maybe that sniff button is starting to work? lol. You have to make it now, you know! My mouth is watering from the pictures! Will give this a go at the weekend and let you know how I get on! Chitrangada, thanks so much for reading and leaving a positive comment! Wouldn't that be fun, VT? Yeah habee i agree with you. Perhaps, Hubpages should add these two new buttons (scratch n sniff button and a scratch n taste button) in the recipe capsules so that the viewers will be more delighted. Random, it really is a quick and easy dessert, and I think it's impossible to fail with this chocolate pie recipe. Thanks! Prasetio, my friend, I wish you could join us for dessert! Good to see you again. lol, Doc. Hope you're having a great day! Drpastor, nice to see you again! Looks delicious! The instructions are clear to follow. Definitely going to try. I love chocolate! and this recipe is yummy. Step-by-step is making the recipe more easier to cook. My mouth is watering, will try this one soon! Thanks to you for such a delicious recipe. 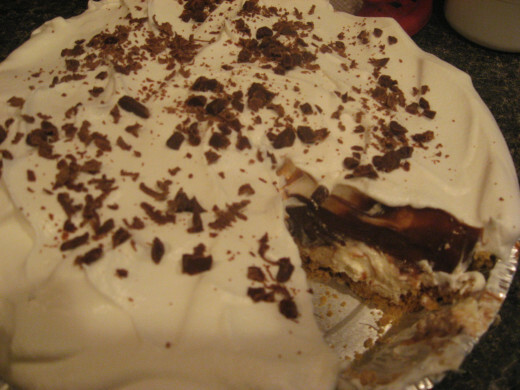 I love no bake chocolate pie! Thanks for the great recipe. It looks amazing. Habee....Do you have some more for me? hahaha..Just looking at the pictures above makes me hungry. Thanks for the recipe and I'll show to my mother. Up and useful! Great recipe, Holle. Now I know where that famous saying, 'easy as chocolate pie' came from. You said the magic word---cheese cake. 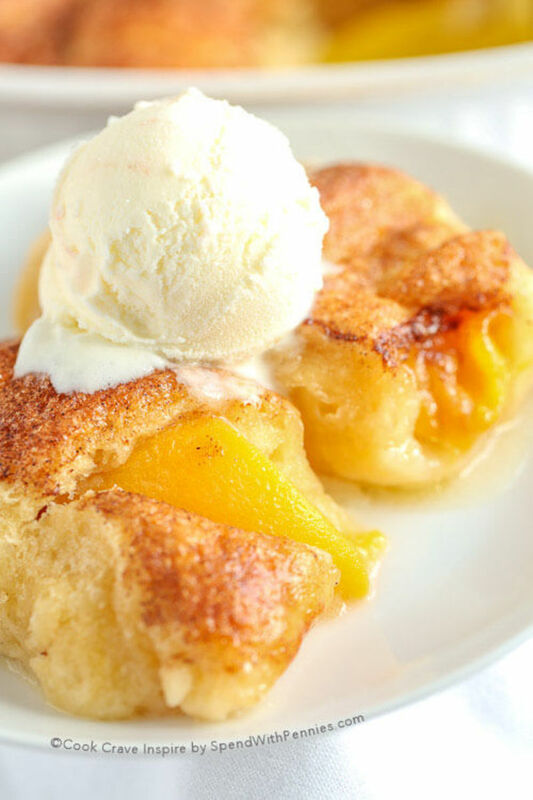 This looks delish.. and easy, and no cooking...Great recipe..Voting up and pinning. OMG! Yum!!!!!! Thank you for the ingredients! Voted-Up! I have been very busy counseling and haven't been around, but I am back! When you have some time come visit. God Bless you!!! Lol, cmommy. I bet your co-workers adore you! Livingsta, I think you'll like it! Thanks for stopping by. 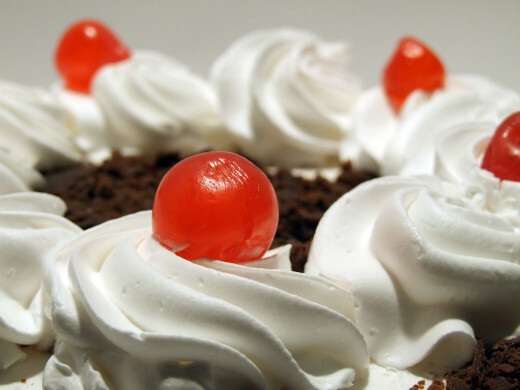 What is it today with all of these delectable desserts? This dessert takes the cake, no pun intended. LOL. habee, this looks absolutely wonderful. 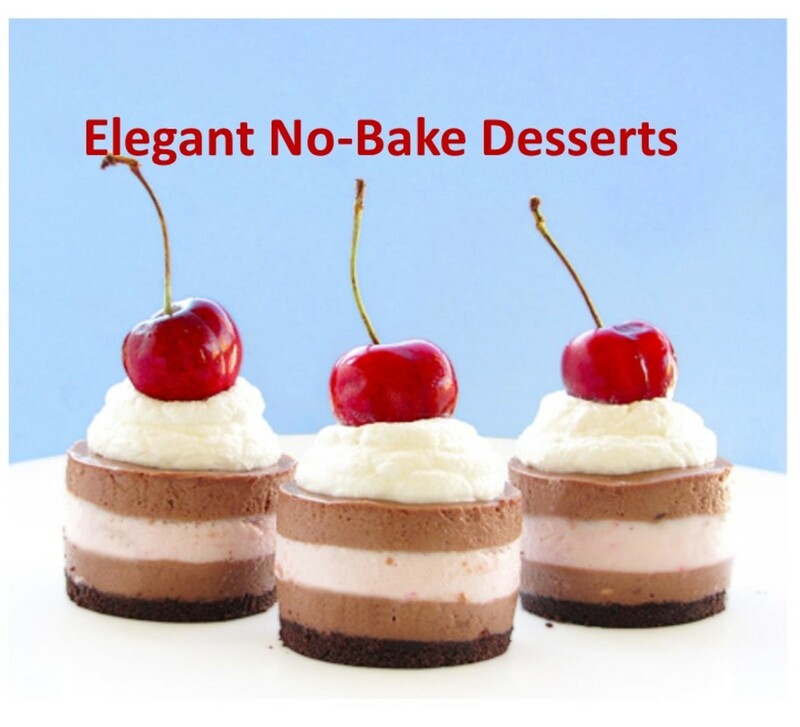 Another dessert I'll have to try out on my co-workers. I'm loading them up with sweets. Thank you for sharing. Looks delicious and easy to prepare. Thank you for sharing this with us. I will try this when I get a chance. Voting up, sharing and pinning! My tummy is yearning for this. Yeah, I think we should have a scratch n sniff button and a scratch n taste button! Thanks for reading.